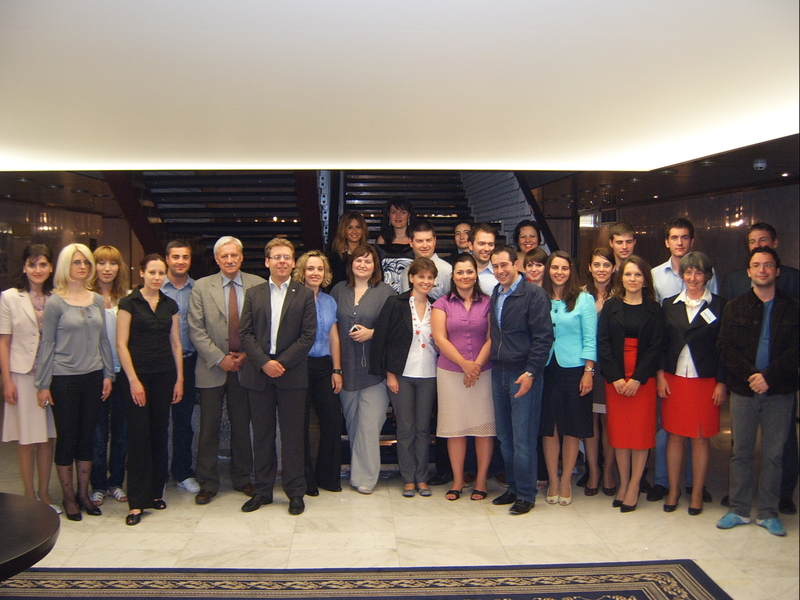 For an eleventh consecutive year the Economic Policy Institute (EPI) organized its traditional Summer Seminar for Young Public Servants from South Eastern Europe. The international seminar targeted ten Southeast European countries (Albania, Bosnia and Herzegovina, Bulgaria, Croatia, Macedonia, Moldova, Montenegro, Romania, Serbia and Turkey) and contributed to one of the long-term goals of EPI – developing a focal point for training, exchange of knowledge, ideas and experience on EU affairs between future decision-makers from SEE. The history of the Seminar dates back to 2000 when EPI started its organization under the title “Preparation for EU Accession”. In compliance with the new positions of Bulgaria and Romania as EU member states, the seminar broadened its scope and from 2009 on it has been conducted under the title “Efficient Membership and Preparation for EU Accession”. The 2010 Summer Seminar, hosted by “Riviera Holiday Club” (Varna), was held under the auspices of the Ministry of Foreign Affairs of the Republic of Bulgaria in the period May 31 – June 4, 2010 thanks to the kind financial support of the Hanns Seidel Foundation, Bulgaria, the Representation of the European Commission in Bulgaria, the DIY chain Mr.Bricolage and the Bulgarian Development Bank AD. • H.E. Thomas Feller - Ambassador of the Swiss Confederation to Bulgaria, Sofia. The program of the 2010 Summer Seminar combined both an emphasis on detailed issues related to a number of EU membership and pre-accession matters and broader strategic issues related to the widening and deepening processes in EU, its role on the global scene, etc. Beside the lecturing part, a considerable part of the time was devoted to intensive deliberations in working group format. The Seminar tackled with a number of specific topics which were discussed amongst the participants and at its end summarized within a panel devoted to the personal views, ideas and recommendations of the participating young experts.